On 20 August the U.S. Court of Appeals for the 11th Circuit in Atlanta ruled that at least one derisive feature of the Georgia and Alabama illegal immigration laws will be left intact. 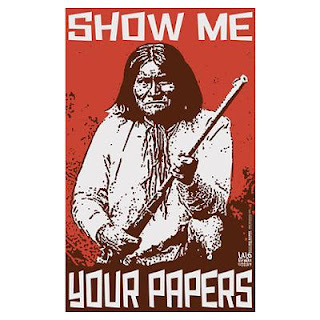 The so called “show me your papers” provision is intended to allow law enforcement to more verdantly apprehend illegal immigrants who are suspected of a criminal wrongdoing. 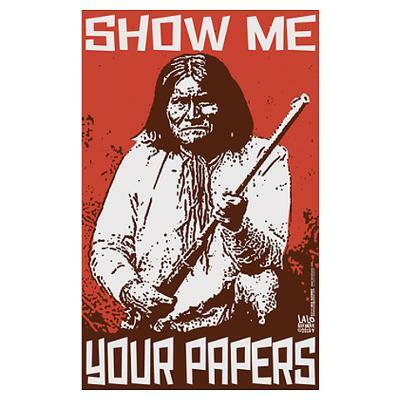 According to civil rights advocacy groups the “show me your papers” is at its core just a thinly veiled mechanism for wanton racial profiling. Much like the a priori green light given to Alabama and Georgia to racially profile, a smoke and mirrors game is being played in the public arena while debating the efficacy of social justices like gay rights, equal pay for woman, economic imperialism and the dominion over ones body. One could go so far as to say that most politicians represent their particular constituents and electorate by agreeing that racial equality as expressed in the civil rights movement was and is a non negotiable steadfast given. Why are we still debating the minutiae of civil unions, LGBT marriages and the traditional Judeo Christian marriages? Of course, there are those who genuinely believe these are topics which need to be debated above others because of a perceived moral decay that they feel must be abated. Whatever their motivation is behind the tactics the fact remains that our congress and the media as a whole are engaged in discussing these topics while avoiding other more pressing topics like economic woes. Let's shift gears to consider what some see as an almost repressive economic hegemony imposed by the US on Mexico. What is at the crux of the fear-mongering which is fueling an inhumane and malicious idea about building electric fences along the Arizona boarder with Mexico? Presumably it's to keep the undesirables out. Yet I see it missing the mark on a few fundamental points. The most glaring point is the notion that these economic and political refugees are sneaking through our porous national boarder to parasitically dine on America's bevy of good fortune. The fact that America has been transforming herself into a 2nd world country with it's chasmic separation of the have's and have not's would seem like a fools errand to those el sud emigre’s. The wealth in the US is not being distributed equally as bared out in the appalling employment and job indices. This is not meant to ignore nor forget the rapid decay of relative buying power compared to the inflationary index. We all experience the price of goods and services as it goes through roof contrasted to the money most Americans are taking in each month. Let's pause and remember that our militant nostalgia for an agrarian economy is in reality run by gigantic agribusinesses. Nonetheless, this nostalgia is firmly rooted in the realm of “invented tradition”, which was espoused by the Marxist historian Eric J.Hobsbawm, and won't be dissipating anytime soon. These mammoth corporations, like all corporations, are intrinsically psychopathic in their behavioral patterns. They have a singular myopic drive to maximize profits which logically entails minimizing costs. One of the biggest costs to agribusiness is labor. As the statistical trend continues less Americans are willing to engage in these horrendous working conditions for meager pay, marginal job security and negligible health benefits. These emigre's from Mexico primarily have filled those employment gabs which Americans are reluctant to do. Perhaps if we didn't have the political talking point of a tidal wave of economic refugees flooding the American labor force, then Americans might be lulled back into those jobs which would ipso facto be vacated by the Mexicans. Of course, I think that might be a jolly mental exercise which may even bear fruit; albeit bitter fruit. The logical overarching question to ask then becomes; why would the Mexicans want to stay in Mexico?” More to the point; “how can we keep them there because they want to be there?” I don't mean to be derisive or flippant nor denigrating. Simply how can America foster a love affair between Mexico and Mexicans? Before the North American Free Trade Agreement (NAFTA) the US mounted several overt military filibusters throughout Latin America in order to pave the way for more favorable American investment. NAFTA has covertly and overtly assisted large and influential American businesses to kept a bulwark of research and development in America while shifting the manufacturing jobs to Mexico. The reasoning is a 1-2-3 police line up of all the usual suspects: favorable tax breaks for investment, tax reduction being paid in America and cheap cheap cheap labor. If Mexico could garner some long term economic boon coupled with modern manufacturing for herself, publicly and privately owned and run, wouldn't that be at least a motivating factor to stay put and reap some of the economic bounty? America has to rethink and retool it's economic/political/social ideologies and policies. The quick fix to a symptom doesn't heal the disease. Maybe someone will have the moral fortitude to touch on some of these realistic North American problematics at the upcoming political party conventions. Let's hope so. Florida 2012 Amendments: Know Before You Go.